Like many parents of preteens, Loui Brezzell keeps an eye on her daughter's social media feeds. That's particularly prudent in her case because her youngster is Amariyanna ("Mari") Copeny, better known as clean water activist "Little Miss Flint." "Mari" Copeny, aka Little Miss Flint. The poised, charming 11-year-old became a high-profile spokeschild during her city's water crisis and remains active. She speaks regularly at events and is the face of a GoFundMe drive that has raised more than $132,000 since last April to provide bottled water for neighbors. She has met Barack Obama, Rachel Maddow, Oprah Winfrey, Ellen Degeneres and other big shots. 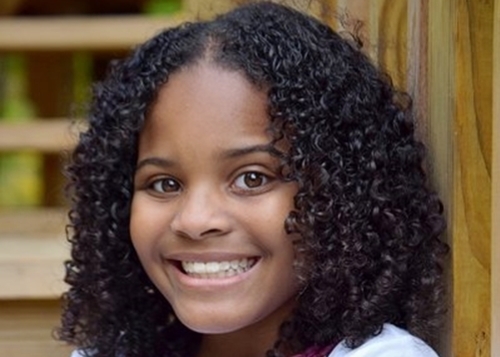 Her tweet generates wide attention, with more than 8,300 retweets, 23,000 likes, over 800 comments and a shout from Essence magazine: "What we're not going to do is prey on @LittleMissFlint." "That is just creepy and gross," replies Joann Sarcinella of Mahopac, N.Y. Locally, Detroit marketing executive Eric Thomas posts Sunday on Facebook: "What's happening? ... Who I gotta fight? I'll fight you. I'll fight you for real." Surprisingly, one of the inbox intruders -- whose Twitter page says he lives in the Congo -- also jumps in and accuses the parent of misjudging him and being "impolite and disrespectful:"
Among the hundreds of reactions is one from a North Carolina attorney, Harvard Law School graduate Leto Copeley, who says: "Think about the kids without vigilant parents, who feel lonely/unloved/misunderstood and might respond."